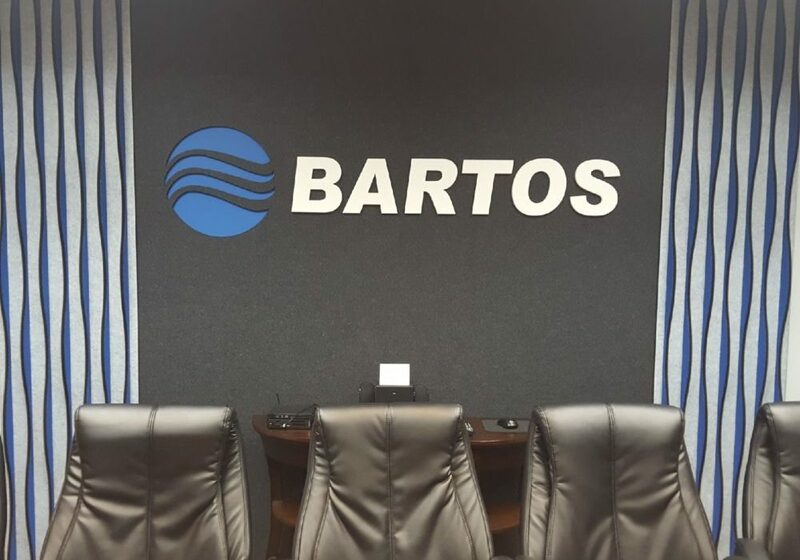 Delivering Engineered comfort solutions since 1964 Bartos Industries represents the finest quality products from the best manufacturers in the air movement and treatment, architectural/acoustics, hydronic systems, and vibration elimination industries. Bartos specified and designed a custom acoustic product installation of Unika Vaev products for their Dallas Corporate offices. Unique design combined with their custom branding was achieved using Unika Vaev products and custom design services. 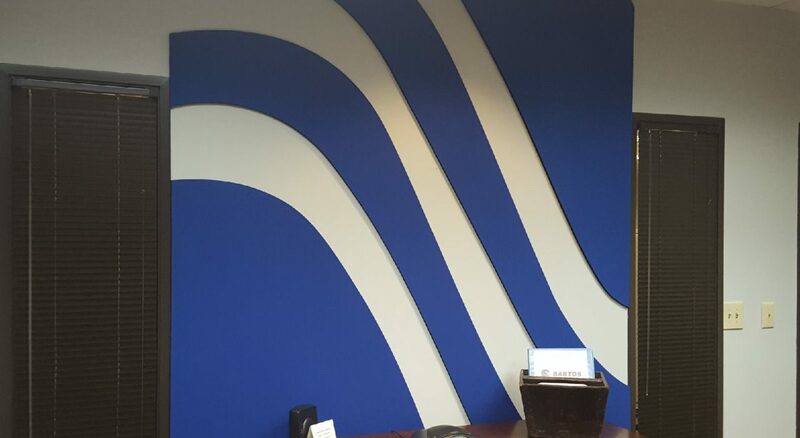 Products used: ecoustic® Panels in White, Charcoal, Light Grey and Cobalt.